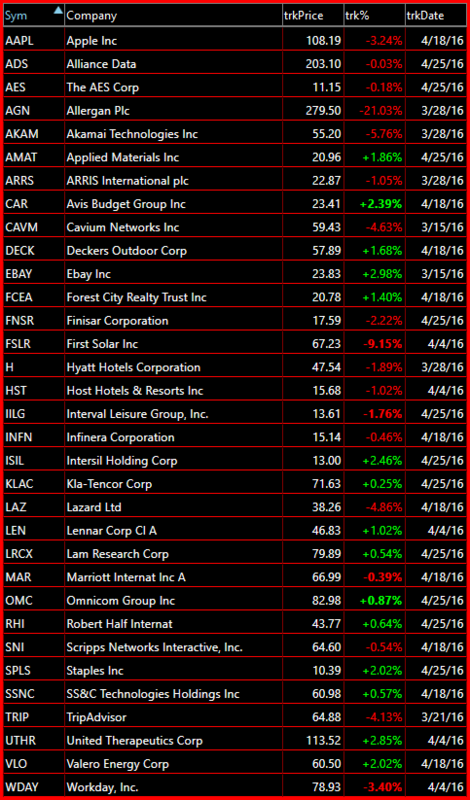 This list is dwindling by the day, down to just 33 names that are showing desirable short setups. That is because from even an intraday standpoint, you cannot get a sell-off to stick. That doesn't mean the market is still rallying higher right now, it just means, that the bulls can not come off its pedestal at all. No pullbacks, nothing. 2016 couldn't be any more crazier than it is right now and you are probably searching for a way to conquer these senseless markets. So do yourself a favor, stay in the game and sign up to the SharePlanner Splash Zone! With your membership, you will get each and every trade that I make with real-time text and email alerts (international too) as well as access to my chat-room that I trade in each day. Click Here to try it for Free!